The REDARC 5.5" muffler clamp has a maximum 5.5" (92-104mm) opening. It has been designed to mount the REDARC EGT probe. The REDARC GMC-5.5 is a muffler clamp with a maximum 5.5” opening. It has been designed to mount the REDARC EGT probe. The GMC-5.5 is an optional accessory that is compatible with the following REDARC gauges: G52-BEP, G52-BET. G52-BEA, G52-EB and G52-EU. The REDARC mounting cup fits one REDARC 52mm Gauge. The REDARC 60A Fuse Kit is designed to provide a simple, neat fuse installation for dual battery systems. The REDARC 52mm G52-BET gauge measures boost pressure and exhaust gas temperature. It also features an optional temperature display. The REDARC 2.5" Muffler Clamp has a maximum 2.5" (36-63mm) opening. It has been designed to mount the REDARC EGT probe. The REDARC 3.25" Muffler Clamp has a maximum 3.25" (58-81mm) opening. It has been designed to mount the REDARC EGT probe. 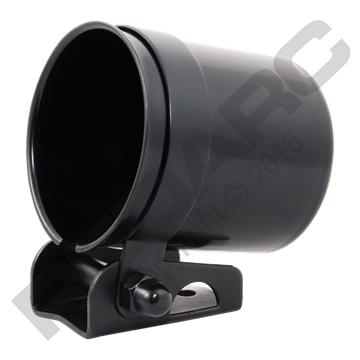 The REDARC 4.2" muffler clamp has a maximum 4.2" (84-106mm) opening. It has been designed to mount the REDARC EGT probe. The REDARC Enhanced Lighting Controller is designed to enhance the lighting of REDARC gauges, when there is no dimming circuit or suitable dimming circuit in the vehicle.